The above photos appear in the article and are provided by The Leader Newspaper. Like most moments associated with bringing this market together, it stirs up a mix of emotions. I cry that she’s no longer here….. I also giggle at the fact that she was SO angry at me for being away when this photo needed to be taken! Promotion was squarely my job! I’m grateful that we have one more photo of her, talking about her passion and sharing her support of local makers. I’m also proud that we are continuing her passion for handmade by gathering at this now annual event, back in Northcote and close to Kate’s home. A big thank you to my fellow makers and friends, Tash, Wendy and Sassy Susie for being part of this promotion. 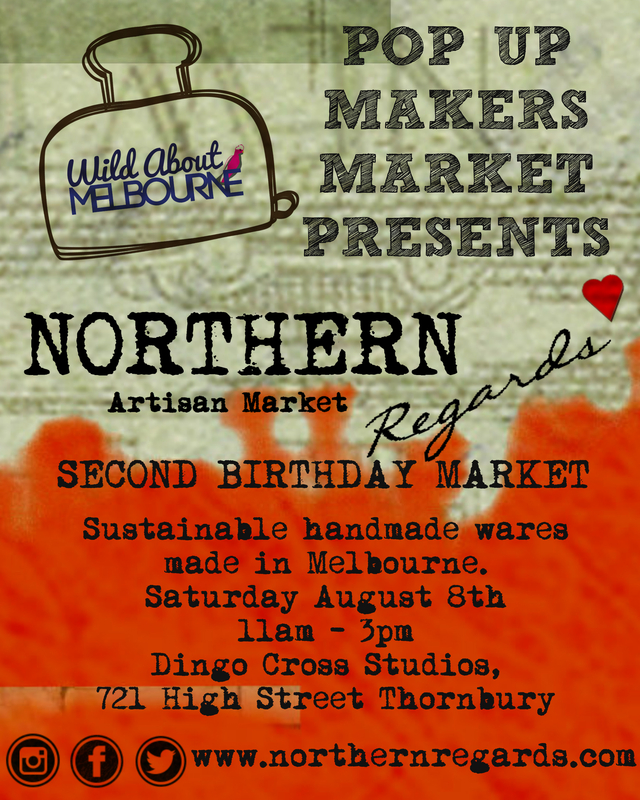 Join us at Northcote Social Club on Saturday April 29th 11-3pm for a celebration of handmade and community. We have a fantastic line up of local makers and good food and beer. Time has a habit of moving on. Our memories and love for you remain as strong as ever. to honour our friend Kate and celebrate handmade. at Northcote Social Club on Saturday April 29th 11-3pm. Stallholders are invited to apply by completing the application form. The market is not only a chance to gather as a community, but also raises funds for Kate’s much loved boys. It’s been an incredibly difficult 8 months since we lost our Kate. There’s not a day goes by that I don’t think of her. If I’m wearing her beautiful jewellery, a new shop opens up in high st Northcote or I hear a tidbit of market gossip that I want to share with her. I miss our market planning conversations over cups of tea in her kitchen. I deeply miss our, sometimes inappropriate, but highly amusing, discussions of every topic while sitting at the market. “Kate’s Market”. A market to gather, celebrate and remember Kate. To celebrate the beautiful community of makers that she gathered and to remember. With a smile and a laugh. And no doubt some tears. So, that’s what we’re doing. I’ve gathered some of our favourite makers and we’re coming ‘home’ to Northcote Social Club on Saturday April 30th 11am – 3pm. This is an incredibly difficult post to write. We have recently suffered a heartbreaking loss. Our dear Kate, one half of the Northern Regards team and maker of beautiful jewellery, passed away on August 4th. Kate lived her life with passion and gusto. Talented, generous and loyal, she loved fiercely and argued brilliantly. A possessor of fine wit and strong opinions our Kate loved a robust conversation and debate. She leaves us with treasured memories and a deep sense of loss. 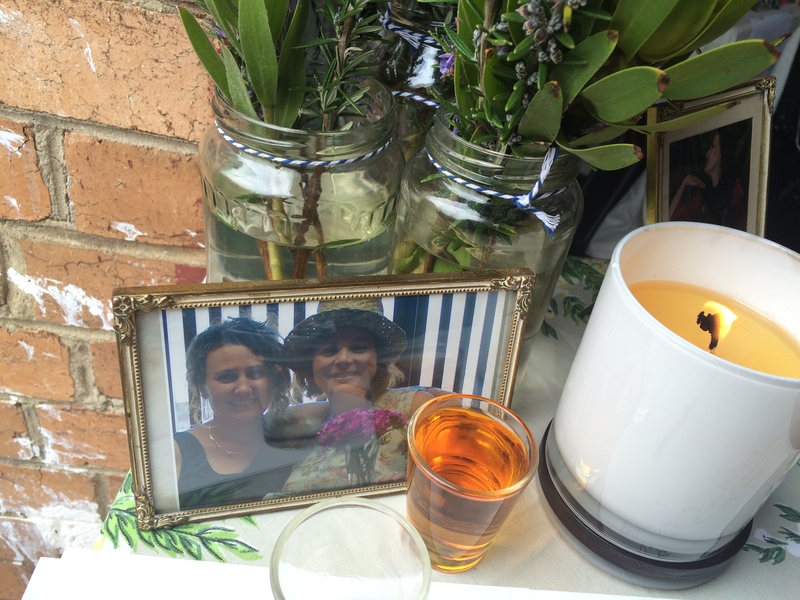 Kate was farewelled in a beautiful service last week in ‘her’ Northcote. A service filled with love and stories. Stories of our beautiful and loyal friend. I would like to say a very sincere thank you to everyone in our Northern Regards community and beyond who have extended their sympathies, love, support and shared fond memories of Kate over the past couple of week. I hope that you can understand that at this time I’ll be taking a break from Northern Regards Artisan Market to grieve and heal. At some time in the coming months, as a community we will gather to celebrate Kate, her beautiful work and help support her two amazing sons. Rest now sweet friend. Your struggle is over. Travel well sweet friend. We love you. Take craft beer, the left overs from drinking craft beer and a host of talented makers…..
and what do you get ?? A FANTASTIC market held as part of Melbourne’s Good Beer Week ! 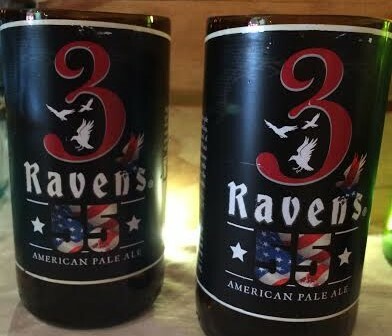 craft beer tastings from our mates at 3 Ravens Brewery and handmade stalls. 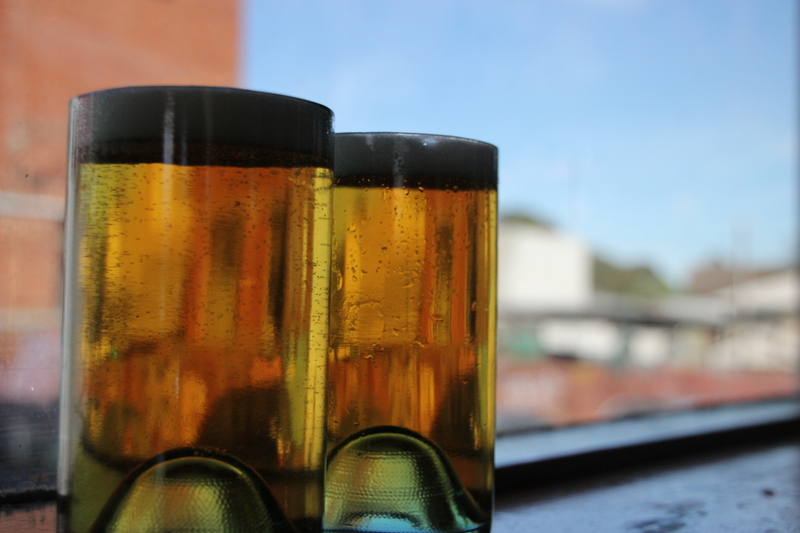 Upcycled beer bottles turned into glassware, jewellery, candles and more. 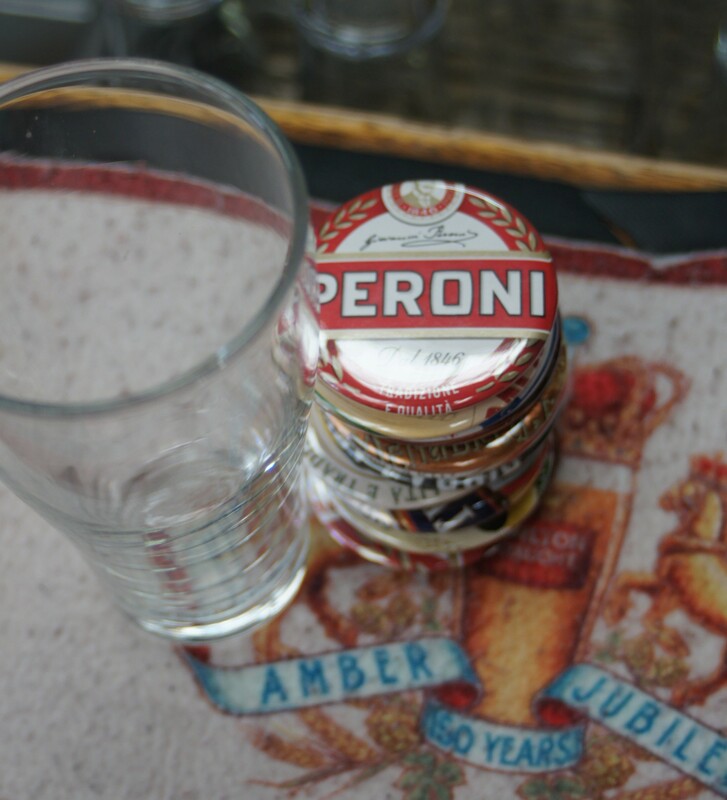 Plus, sustainable fashion, recycled jewellery and did we mention the beer ? A big thank you to everyone who came along to our Good Beer Week market. We had a ball and can’t wait to do it all again next year. We’ve got some changes coming to Northern Regards Artisan Market. Stay tuned for details as we approach our SECOND birthday. Can you feel it…? There’s a buzz in the air. A hoppy, malty and excited buzz. Good Beer Week, one of Melbourne’s biggest and tastiest festivals, is upon us. The thing with craft beer is that it’s makers are passionate folk, making small batches of a thoughtfully and sustainably made product. Sound familiar? Yep, we thought so too. 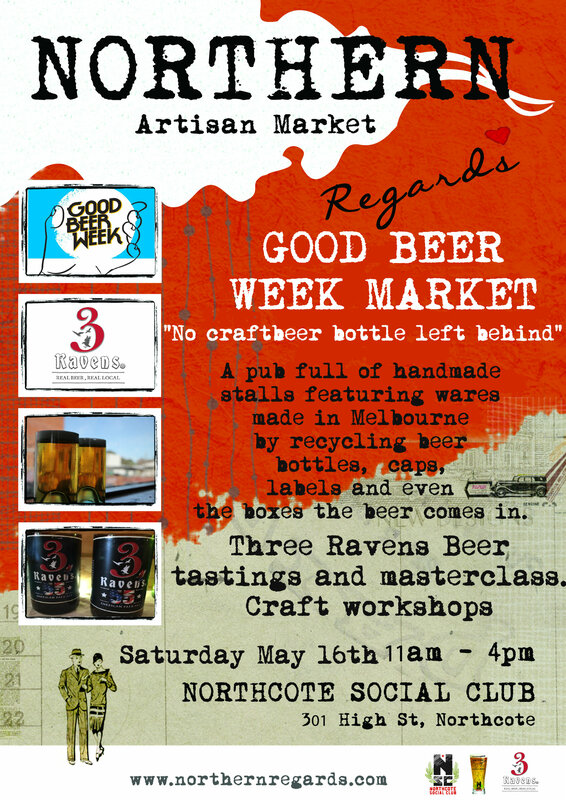 Which is why we’ve teamed up with Good Beer Week, 3 Ravens Brewing and Northcote Social Club to bring you a very special market. Saturday May 16th 11am – 4pm we’ll be celebrating makers making by upcycling craft beer products. 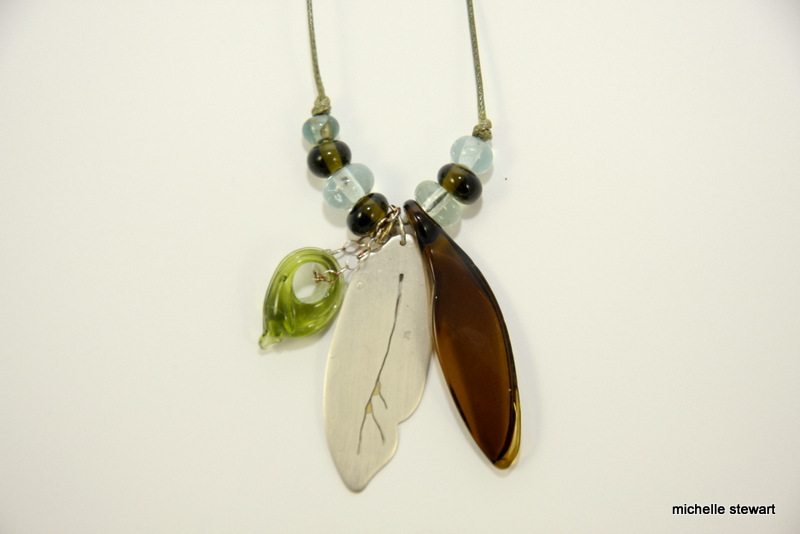 For example, Mariposa Magic creates beautiful jewellery by hand making beads from crushed beer bottles. 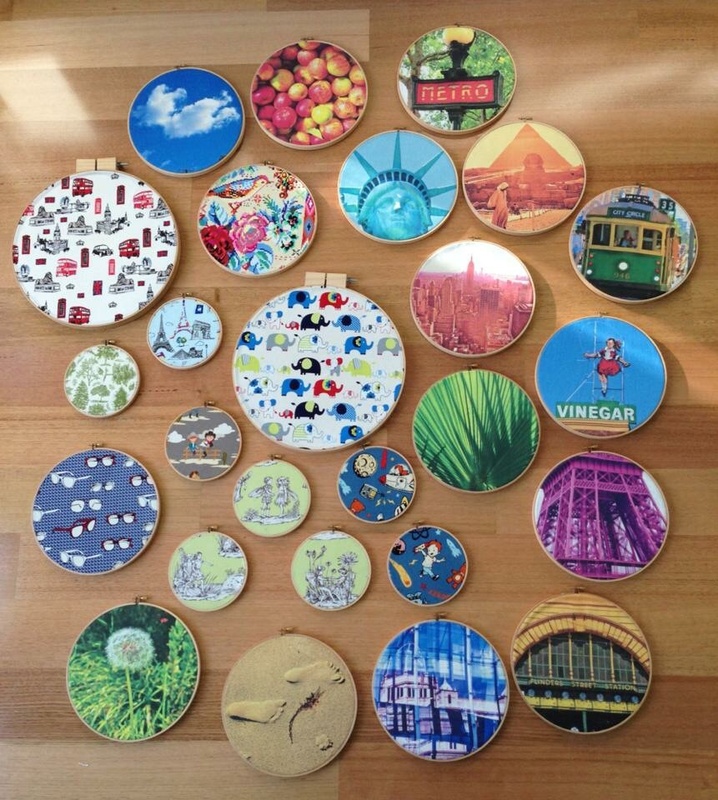 Twice Drunk are bringing their upcycled glasses and vases and lamps and Z Twist Art custom makes badges, keyrings and magnets with your favourite beer label. Our talented makers have also been making soap from beer, smoking salt in an upcycled beer barrel and creating funky accessories from craft beer bottle caps. 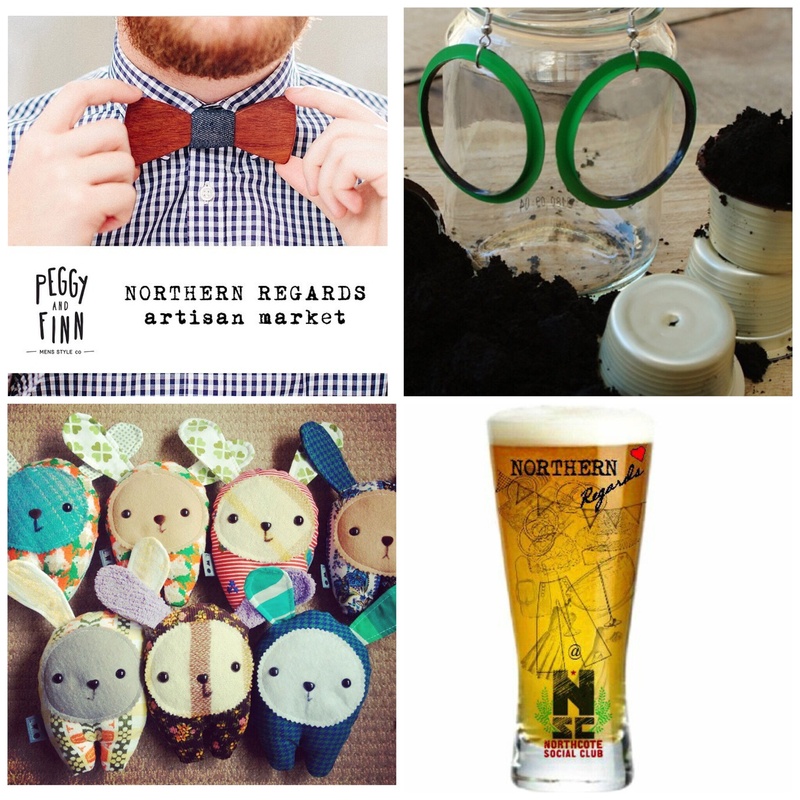 Of course, we haven’t forgotten those who aren’t beer drinkers/aficionados…..
We also have a great array of stallholders making accessories, homewares and jewellery. So, come along on Saturday. Taste some beer. 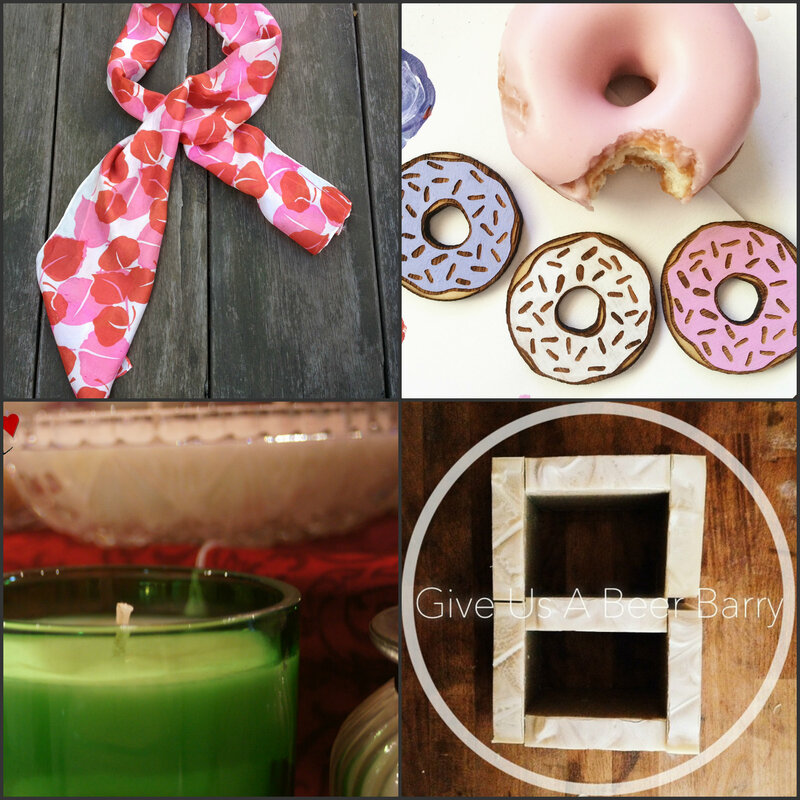 Shop local handmade. It’s going to be a great day ! See you there. That’s right, after a long summer break, we’re back TOMORROW Saturday April 11th 11-4pm at Northcote Social Club. We’ll be filling the iconic bandroom with talented artisans all with upcycled, recycled and sustainable handmade. Some artisans are making their Northern Regards debut and we have ‘old’ favourites returning. And of course, there’s beer. And a new chef and menu in the kitchen. It’s the perfect day out really. So, we’ve been teasing on Instagram and Facebook with a BIG announcement……. Northern Regards Artisan Market. An event that celebrates all that we hold near and dear. A market, especially for one of Melbourne’s biggest and best festivals. Yes, it’s a GOOD BEER WEEK market ! Saturday May 16th 11am – 4pm at Northcote Social Club. 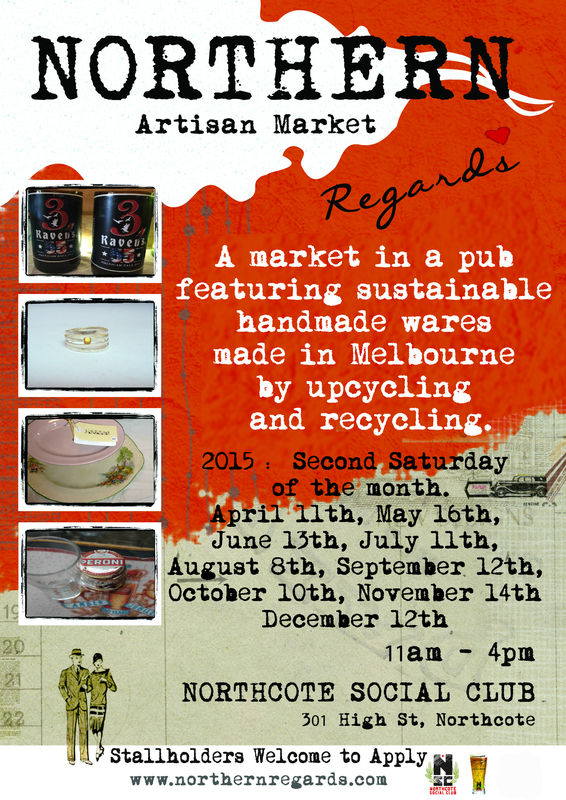 Northern Regards Artisan Market is Melbourne’s only sustainable handmade market……with beer. 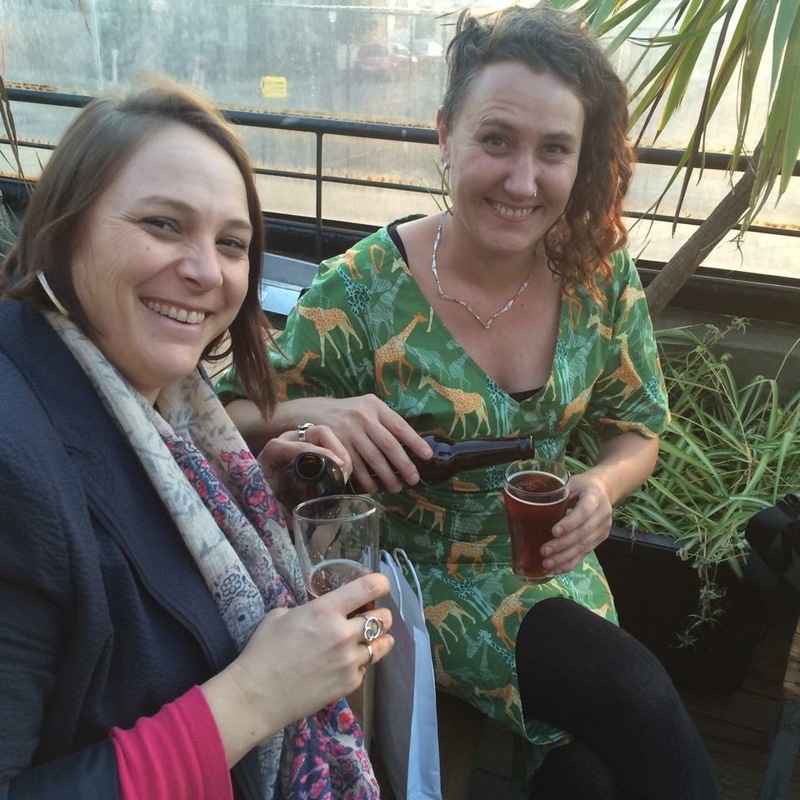 “For our Good Beer Week market we’ll have a pub filled with handmade stalls featuring wares made in Melbourne by recycling beer bottles, caps, labels and even the boxes the beer comes in. Our iconic location, Northcote Social Club, is true believers of ‘there’s a beer for everyone’ and are increasingly expanding the craft beer list to have a year round beer list that is as diverse as its crowd of happy beer drinkers. We’ll have local brewery, 3 Ravens on hand offering FREE tastings and convincing even more people to convert to craft beer. And, of course, creating more empty bottles for our artisans to create into something new. The 3 Ravens crew will also be hosting a beer masterclass. It’s going to be a fantastic event and we hope you can join us.